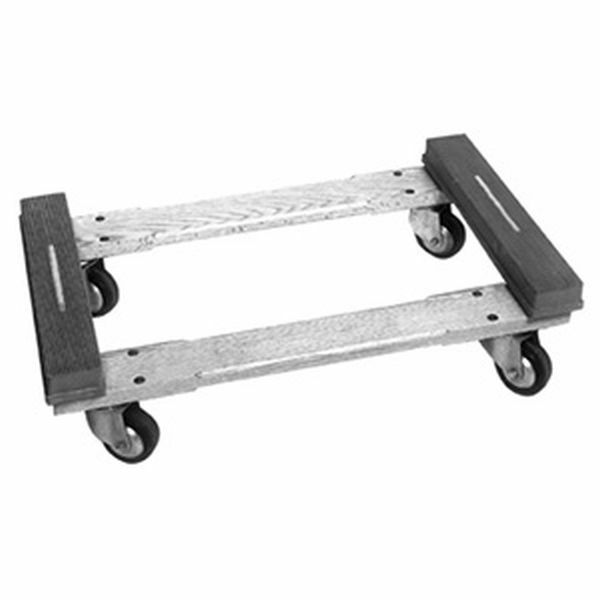 18" x 30" with 3-1/2" Faultless casters. 900 lb capacity with rubber caps on end members. Select hardwood Dolly with 4" Faultless caster. Measures 18" x 30" - 1000 lb capacity. 882 Replacement Rubber End caps for 880 or 883 - See related items below. Excellent customer service. Have used the dolly to move a heavy upright piano inside of our home and to move a very heavy running machine from our home, over the ground to a garage. Would definitely recommend both the company and the apparatus.